Dawn Van Keuren joined Fishman and Fishman in 2011 and focuses her practice on representing people injured in Automobile Accidents, Personal Injury cases and Worker's Compensation Claims. She enjoys a statewide practice, handling all phases of litigation. Her appellate practice recently included a decision where she successfully argued on behalf of her client to determine the jurisdiction of the Division of Workers Compensation, reversing the decision of the trial Court. Ms. Van Keuren is a graduate of Rutgers College, earning a Bachelor of Arts in Political Science. 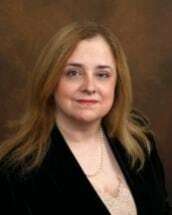 Ms. Van Keuren earned her Juris Doctorate from Rutgers University School of Law, Camden and presently serves as a Civil Arbitrator for the State of New Jersey, Atlantic County. She previously served as an Early Settlement Panelist in three counties. Ms. Van Keuren is a member of the New Jersey Bar Association and Atlantic County Bar Association.